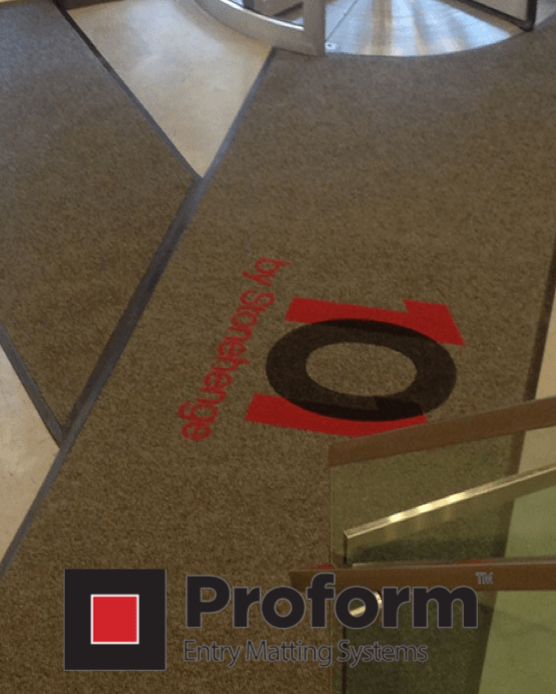 Given that matting is positioned at the entrance it is, by definition, one of the first visual impressions of your facility. 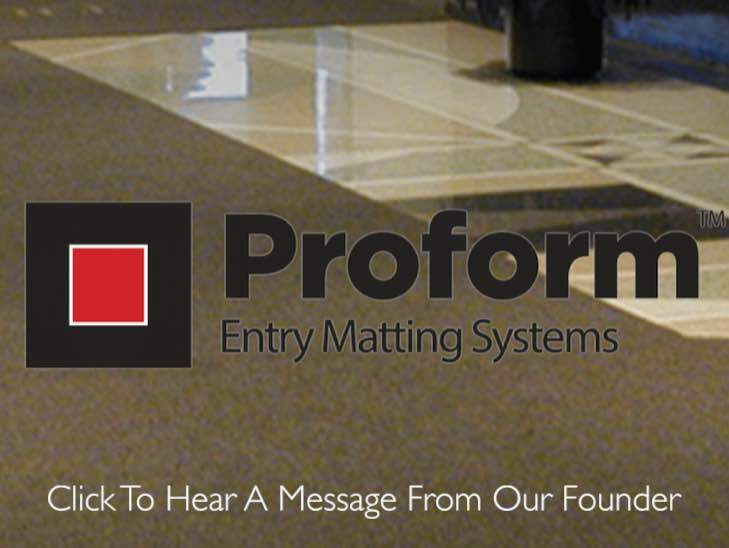 Proform™ entry matting is an inexpensive way to make a dramatic, elegant, professional, & inviting imprint on your visitors, guests, tenants, clients, faculty, students, or customers. We build matting solutions based upon unique client needs. Solutions include mats used only during inclement weather, mats that are removable but generally left in place around revolving or swing doors or matting permanently glue down installed in vestibules or in recess wells. Our goal is to help our consuming customers and distributor partners deliver quality products, design, branding, installation, & fit for customers that value quality solutions. There is no greener way to clean than to stop the dirt at the door (a LEEDS requirement). 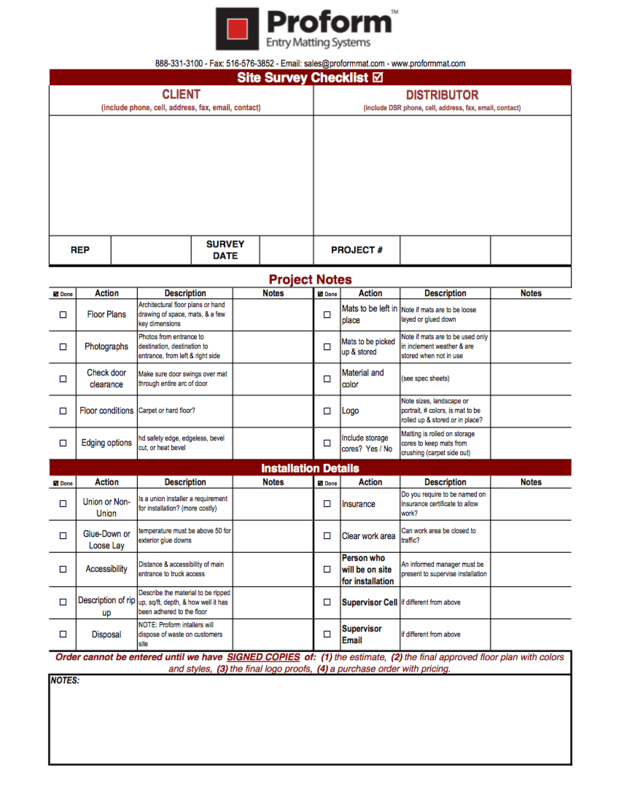 Make a great “green cleaning” decision with Proform™. Our consuming customer presentation is designed to walk our dealers and consuming customers through the process. The Look of Proform™ cut sheets illustrate photo groupings by market segment: hotel, office buildings, country clubs, hospitals, arenas, & residential properties. Our method is to start by understanding the unique needs of each customer and then building the perfect solution. 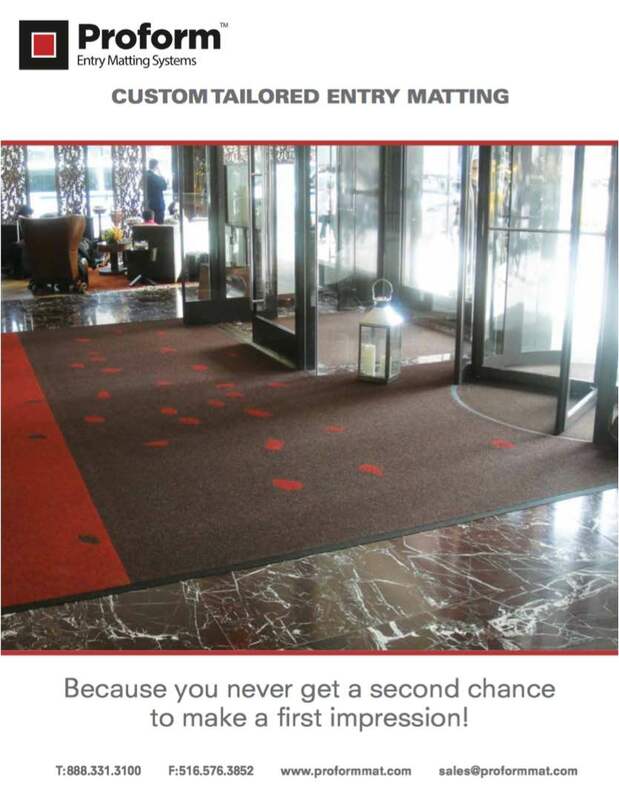 We build matting to be permanently installed in vestibules, around revolving doors, in recess wells, or runners used only during inclement weather. We believe that the entry is your first opportunity to make a first impression, reinforce the brand, and wow your guests, tenants, customers, & employees.